A quick post to gloat about how cool it is to teach on the East Coast today. 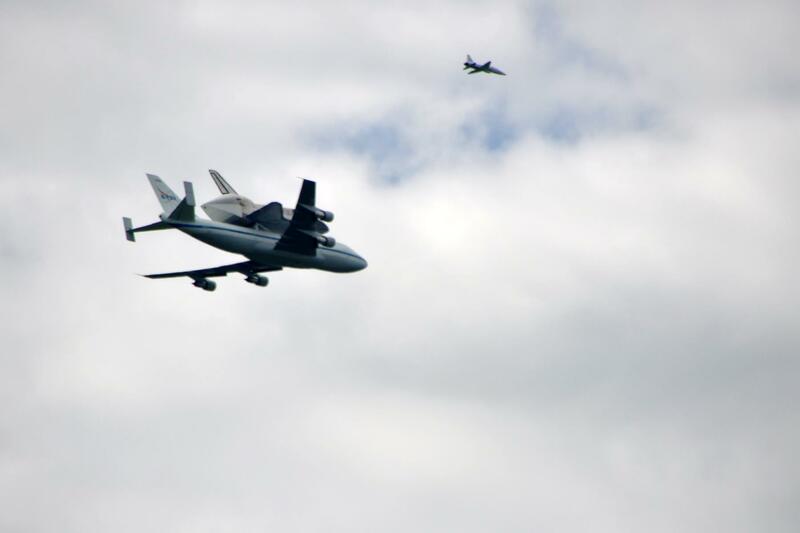 Some pictures of the Space Shuttle Fly-Over as before it descends on Dulles to its final resting place at the Udvar Hazy Air and Space Museum. It was pretty darn amazing to hear it coming over campus and watch 300 kids run outside to take part in an historical moment together.